We get you organised and back in control so you can finally breathe again. Would you like us to review your bookkeeping system to see how we can help save you time and money ? If so enter your details below and complete our checklist. "Finally accountants that get it"
Yield Accounting Group no longer measures the value of its people or its customers in 6 minute units of time. We no longer charge by the hour. We do not charge when we pick up the phone or send you an email. We do not charge for travel or any of that kind of stuff that is disconnected from the value of what we do. We invest in long term relationships with our customers, and measure the value of our services in the same way you do. We have a lot to offer. This is a small part of why Yield Accounting Group are different. 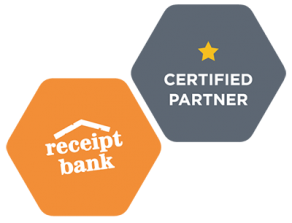 As Xero Gold Partners we are experts in the use of Xero. We can setup your Xero data file and provide full training and support. Providing valuable and important list of resources for accountants to give instant access. Whatever your requirements we can provide solutions. Contact us today! "We love making life easier for our clients"
Yield Accounting Group is a progressive accounting firm operating from Manjimup and Pemberton, servicing customers Australia wide. We are passionate about using the latest technology to get our customers organised and back in control, whilst freeing up their time to spend on things that really matter. We believe that our unique service model and year round contact allows us to develop lasting relationships with our customers that sets us apart from the pack.